I’ve read/heard about LA Colors products from many beauty bloggers and thought that it was time to try it out for myself. 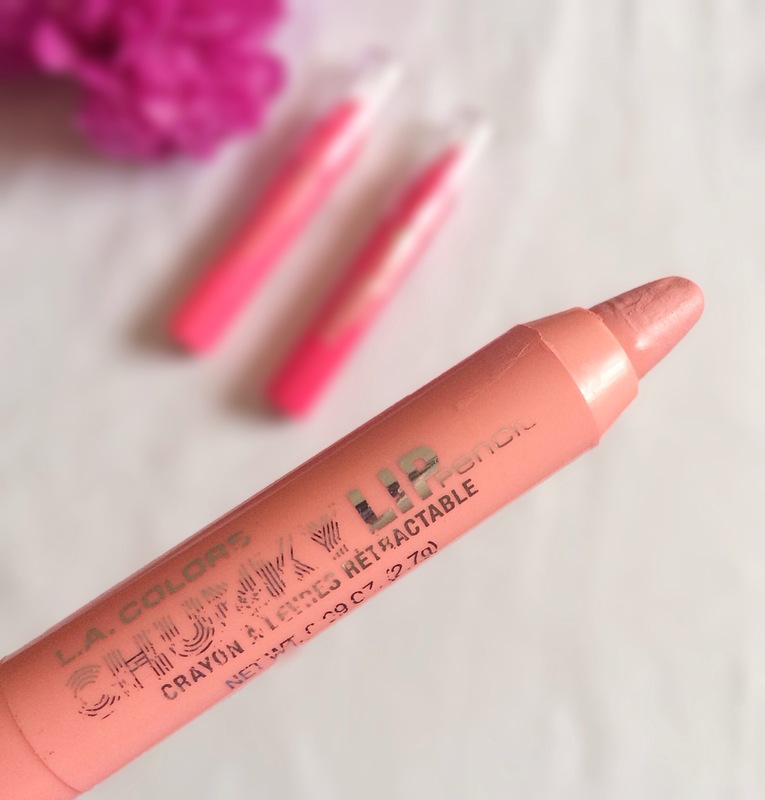 Since it was my first time purchasing, I decided to go small and bought 3 of their Chunky Lip Pencils in different shades of pink – and here’s what I thought of them.. I purchased the natural pink, hot pink and hot red shades, I think I was more drawn to these shades as they are more or less the shades that I usually use. 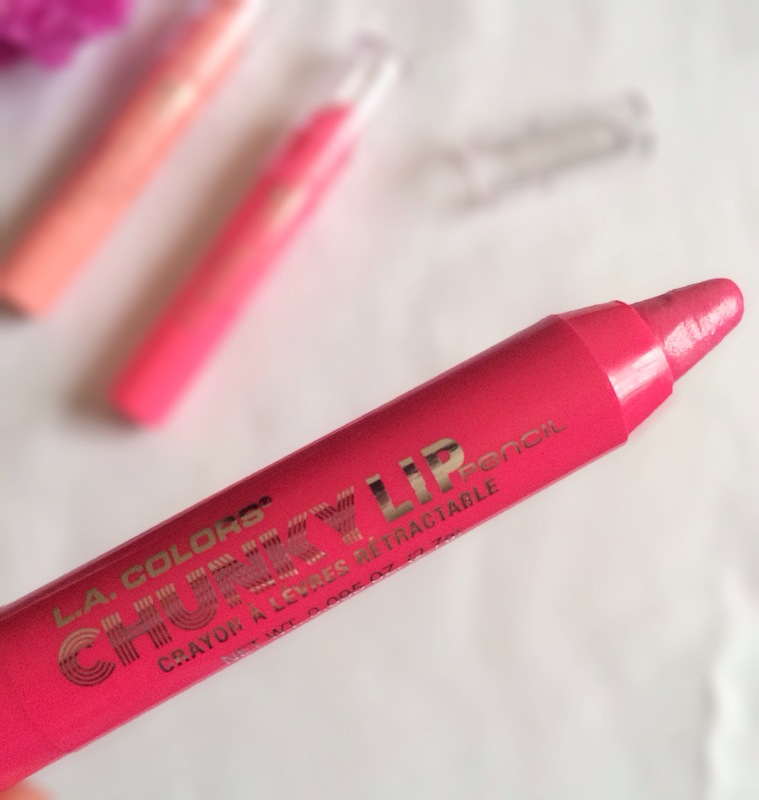 These Chubby Lip Pencils retail for about R35 at Dischem, but I got them for just R26,95 due to the Dischem Beauty Fair discount. 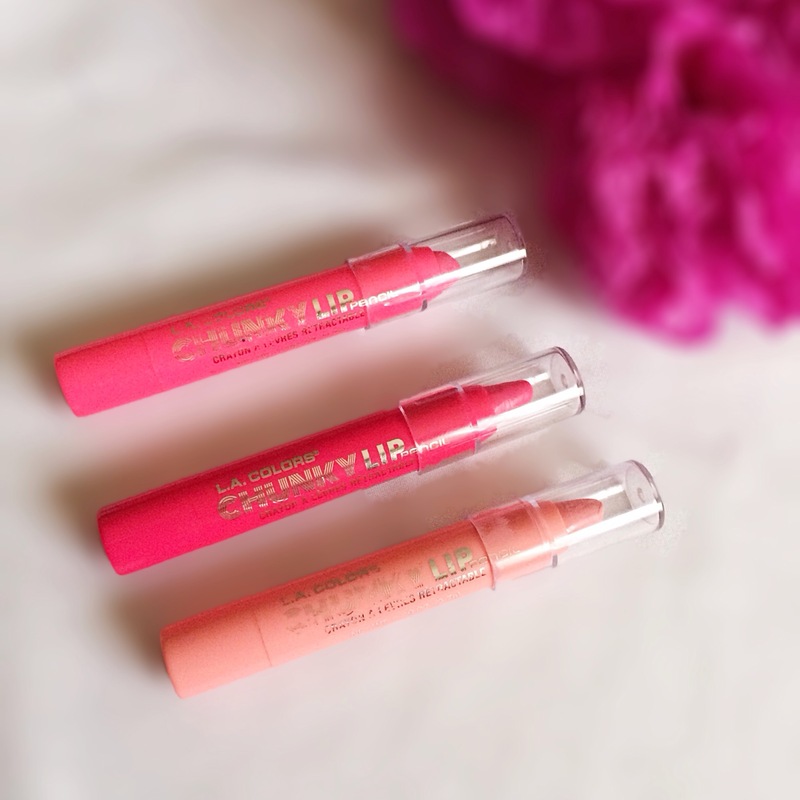 I think all 3 of the chubby lip pencils produced the same result , so I’m just going to do a general review of the Chubby Lip Pencils. At the end of the post you can view the swatches for each of the shades as well as pictures of the different products. The chubby is a mix between a lipstick and lipgloss. 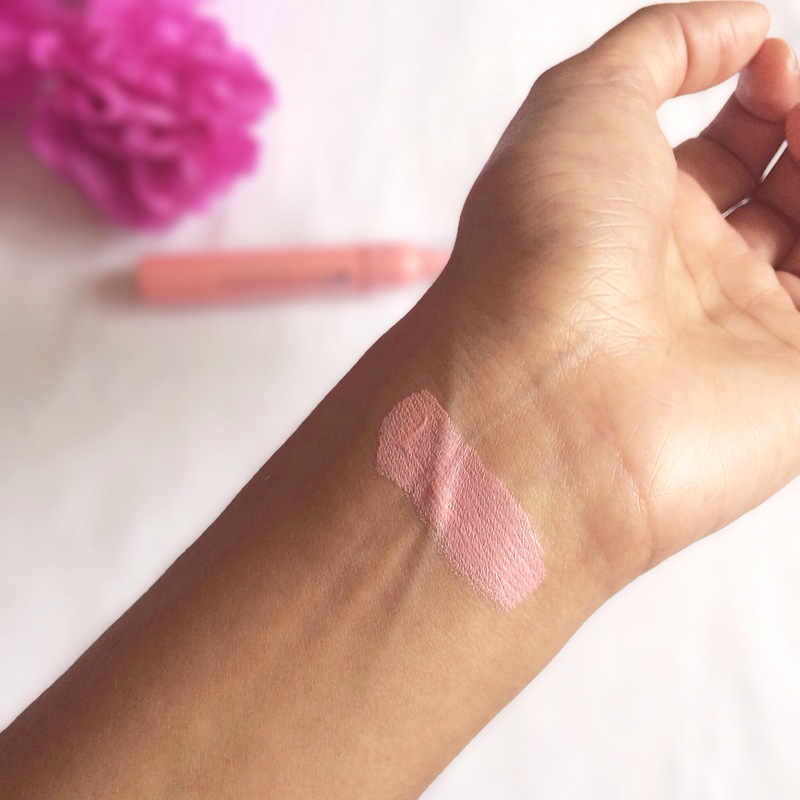 It’s as pigmented as a lipstick but the finish is more like a lipgloss, in the sense that, it sits on the lips and isn’t really ‘absorbed’ into it – basically, if after 15minutes you wipe your lips it will wipe right off but still leave a slight stain, just like a gloss would. What I like about these chubbies is that it doesn’t really settle between the lines of your lips – as long as you exfoliate your lips and apply a lip balm before applying the chubby. All of the shades look wonderful on an olive skin tone which generally indicates that it will suit both fairer and darker skin tones. 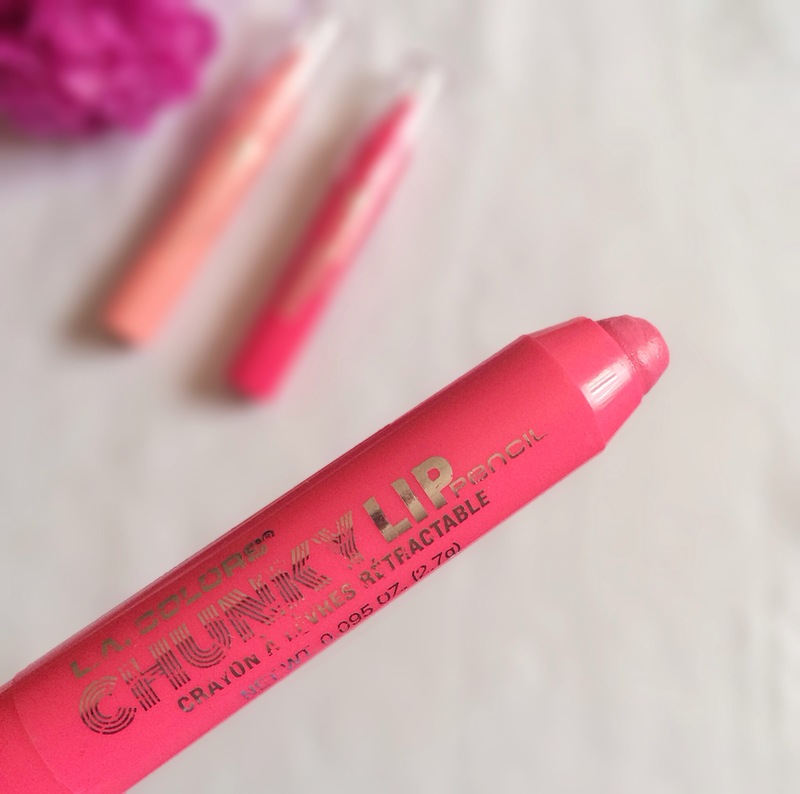 The chubbies also work wonderfully with lipliners – if you’ve ever watched those short IG videos or Youtube videos and are as obsessed as I am, with how these beauty gurus achieve their amazing lip colour then you should defo purchase one of these chubbies. 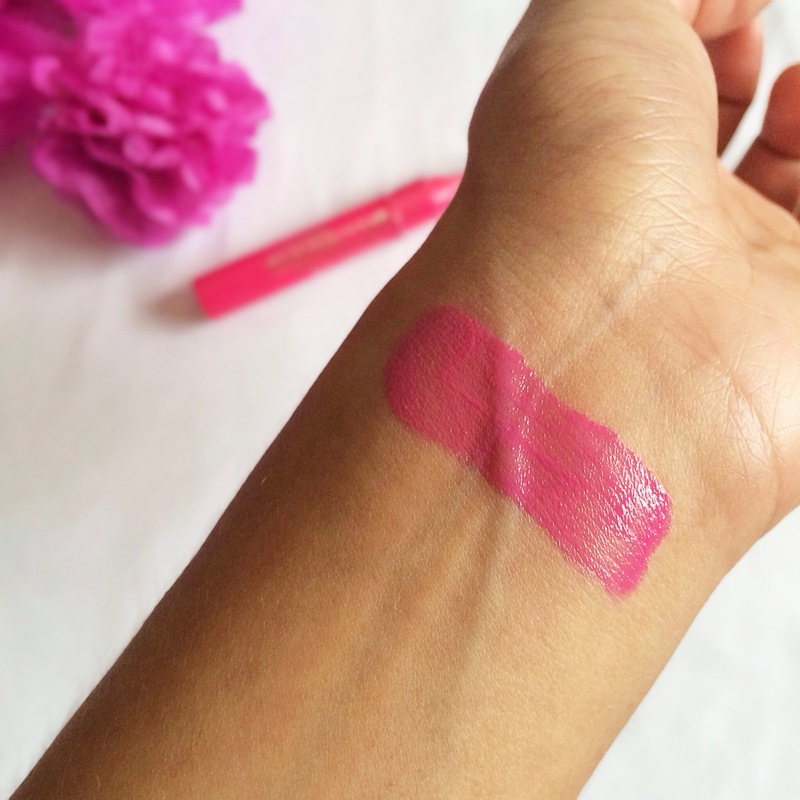 I apply the chubby first and follow up with a lipliner in a similar shade and oh my gosh, the result is phenomenal! 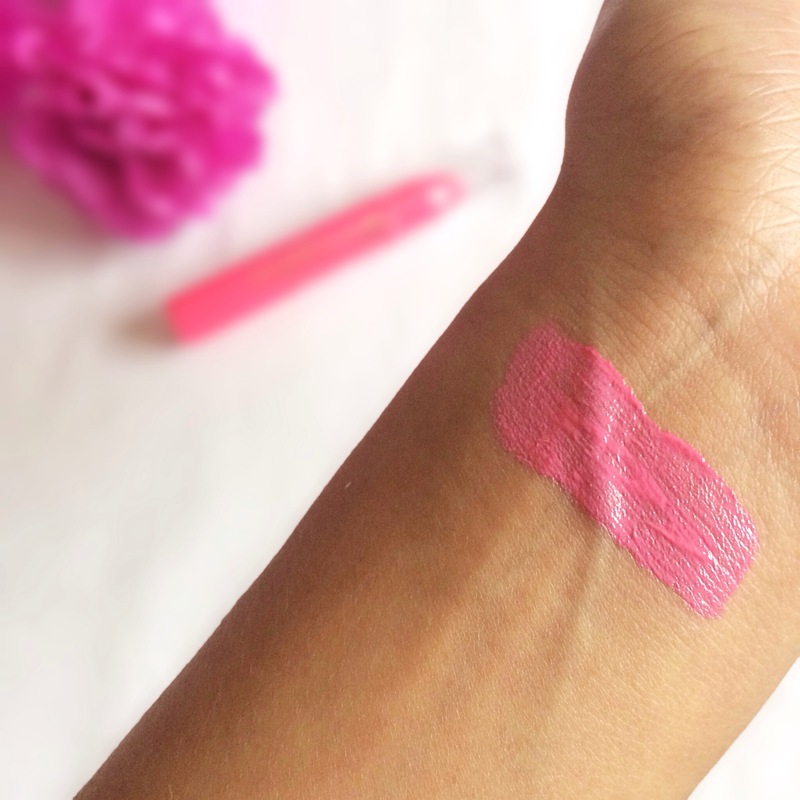 You end up with this very pigmented and creamy lip colour that you will absolutely love! The staying power isn’t great though, it will probably last you about an hour before you have to reapply but if you drink/eat, you’d probably have to reapply much sooner than that. 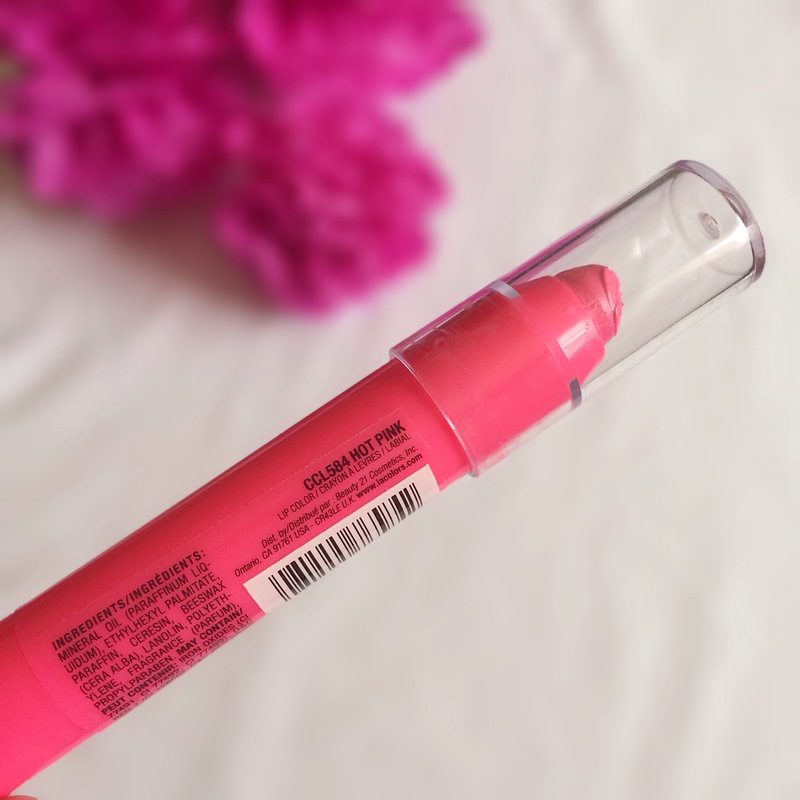 If you don’t already know, I’m all about the packaging of products and unfortunately, the print on the packaging has already faded away and I only have it for like about week or so – I guess it doesn’t really affect the efficiency of the product but I do like pretty, solid packaging so I was quite disappointed. So yeah that’s it. 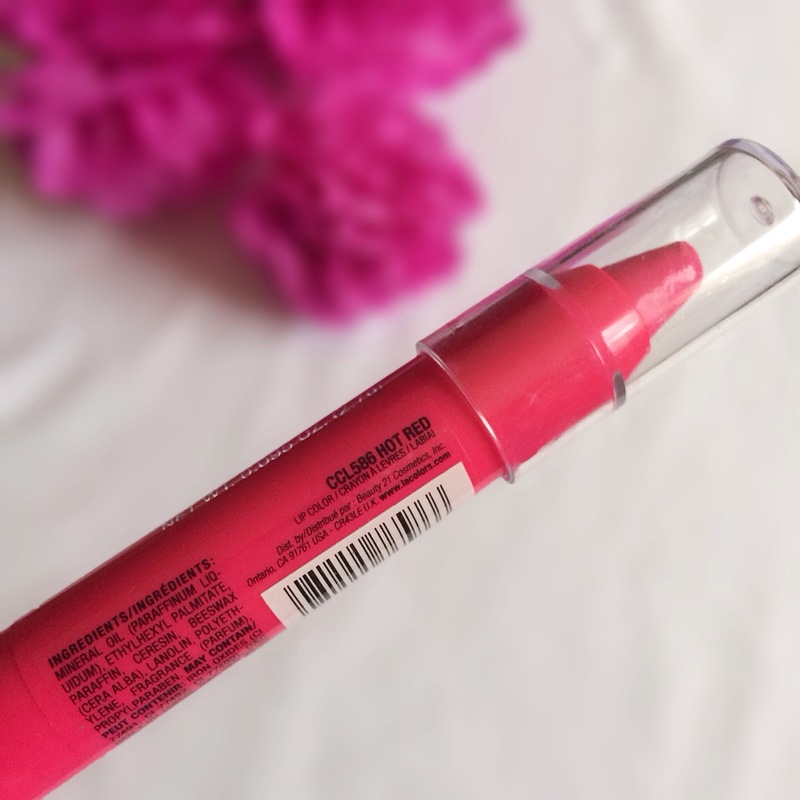 For the price of R27 or R35 (depending on when you go to Dischem), I think it’s a great buy – fading packaging and weak staying power aside – as it is very affordable, looks amazing on the lips and is fab for blending with other lippies to creat new colours. 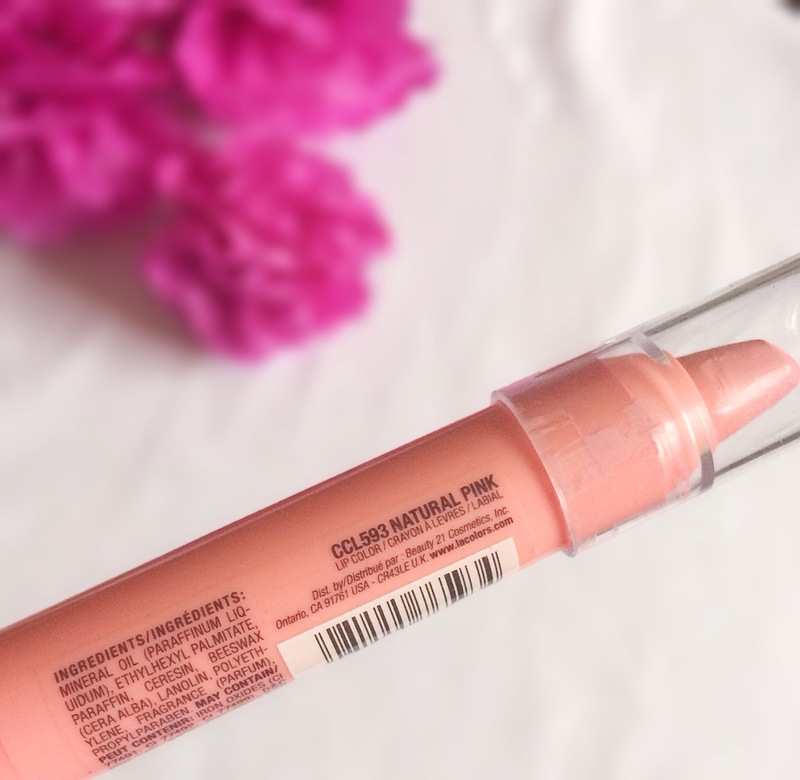 But if you’d like something more solid and with greater staying power, check out the Revlon Matte Balm which I reviewed here.